All the work and art I produce relates back to my screenplay BLACK ANGELS. Today isn’t any different, as I’m fascinated with ‘The Ancient Egyptian Gods’ and the ‘Discovery of King Tut’ himself. The clues were out there. I just had to find them. Originally, with an Italian/French background, my youth was brainwashed into the Catholic faith. But, after years of observing this religion, I wasn’t satisfied with its religious doctrines, as my thirst of knowledge was never answered truthfully. Therefore I went on a five year journey of discovery, studying religions, from Jehovah’s Witness, Mormons, The Salvation Army, to the Bahá’í Faith. Intrigued by the Bahá’í faith, I began studying its origin. Its religious beliefs were founded by Bahá’u’lláh in the 19th century Persia. It was in defiance to the radical Islamic doctrines and unfortunately Bahá’u’lláh himself was imprisoned and exiled. Like any contradictory religion of its time, the controlling powers-to-be considered the Bahá’í faith blasphemy and was severely dealt with. It’s really not any different today with our continuing saga of complete turmoil within this hostel environment we all live in, just because of our differences in todays religions. Their religious beliefs revolves around the theory that Buddha, Jesus, and Muhammad were divine messengers, including Bahá’u’lláh himself. Most importantly, Bahá’u’lláh was surrounded by the idea of having a peaceful existence for all of humanity, even though to this very day, we still haven’t achieved it. Unfortunately peace into today’s society is such a taboo thought, due to worldly radical (religious) doctrines, exploiting control over their insane beliefs. After careful consideration of each religion, they all failed miserably, one by one. All are led to CONTROL and subject to some sort of financial gain. In the end, it was painfully clear to me, all manmade religions are clouded by one form of greed or another. After my religious undertaking, I eventually decided to do more research about the Syrians, Persians, Egyptians and Roman historical accounts. The discovery of the Sirian, Persian and Egyptian Gods led me to a more profound answer to our very existence. From there (in about 1995), I started writing a series of screenplay drafts devoted to the theory, mankind was visited by ancient visitors, only referred to as the ‘GODS OF THE HEAVENS’. 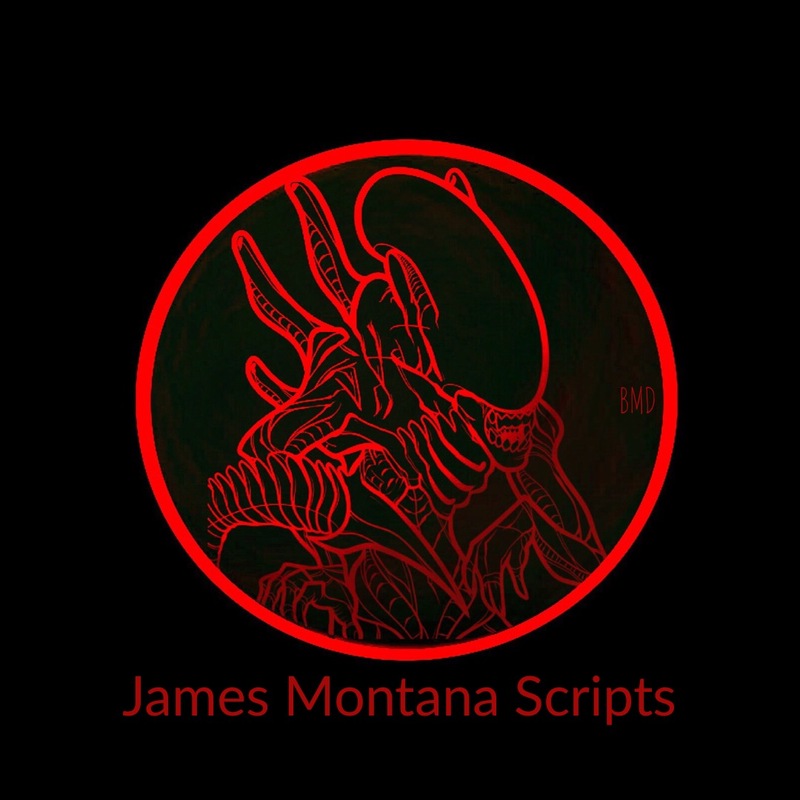 Even though my screenplay is a science-fiction horror genre called BLACK ANGELS, it’s based on historical accounts of scriptures, including hieroglyphic scripts and biblical prophesy, where’s it’s the understanding mankind was genetically altered prematurely from our relatives, the Denisovans or Denisova hominins, changing us into a smarter race of human beings. However, as this is referred to as the smoking-gun to the “missing link”, it’s without deadly consequences. Today, humans may be intelligent, but consider the normal evolutionary timeline, we have quickly become a dangerous species, suited more for war then peace, fighting our inner demons along the way. Discouraged by the fate of mankind, I eagerly plowed through the historical timeline of the Egyptian Dynasty, knowingly all to well, they were only representatives, trying their best to duplicate the existence of the GODS, themselves. A good example of this is when I recently discovered my own treasure of historical artifacts through tedious research of the Egyptian Pharaoh, King Tut. 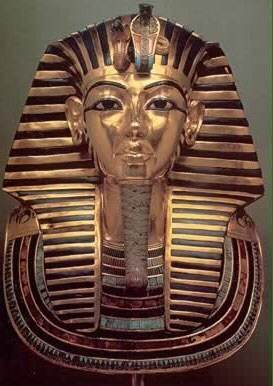 With this information I discovered an array of valuable historical artifacts with an amazing story behind the secret Egyptian King, the illusive boy with the golden mask. The Discovery of King Tut Exhibition came to North American from 1976 – 1979, showcasing Tutankhamun’s tomb in the Valley of the Kings between the tombs of Rameses II and Rameses IV. Incredibly, local robbers entered the tomb twice, but each time failed to find any treasures. However, in 1922, archaeologist Howard Carter found four secret chambers completely intact. For years before the discovery, Carter’s patron, Lord Carnarvon painstakingly inspected every inch in the Valley of the Kings, telling his colleague the Tutankhamun’s tomb had nothing of interest. But on November 22, 1922 Carter discovered one chamber, and within this chamber hide two more chambers. Inspecting the last chamber, he noticed a tight corridor leading to yet another chamber. Carter’s persistence had finally paid off, finding the fourth and last chamber, exposing the secret burial chamber and unfolding the legendary tomb of King Tutankhamun (the boy behind the golden mask). Within these walls, the room exposed priceless golden treasures, known as the greatest archeological findings of the 20th century. Even though these impressive artifacts captivated my interest, it just isn’t the same as the real exhibition from 1976 – 1979, where it’s last visit was at the Royal Ontario Museum, Toronto, Ontario. During this time period I was busy raising a family and too broke to even think of visiting Egypt, where the artifacts remain to this very day. 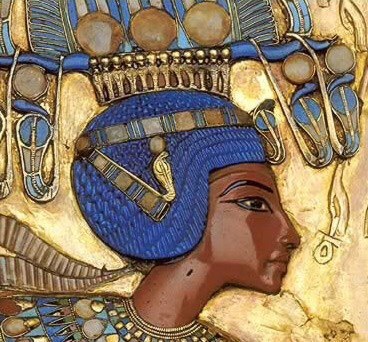 Indeed, King Tutankhamun Eighteenth Dynasty is an amazing timeline in our history. To me, after years of studying various religions, reading and seeing historical artifacts, it became clear everyone, everywhere in history tried their best to imitate the GODS, but all fell short to duplicate our ancestral legacy. You can pretty much tell, their technology and architectural buildings weren’t up to snuff to the true GODS, they wanted so bad to replicate. In addition, ever since the missing-link, the peculiar advancement of our human brain (within a short evolutionary timeline) and the ever increasing violence from our savage instincts, it leads me to believe we weren’t alone in the beginning, during the birth of our homo-sapiens existence. On top of it all, it’s still a mystery of what happened to our fathering ancestors and exactly why did they leave ? Where did they go ? It has left us humans baffled with speculation, only to search for more answers. It’s possible we might find the truth, as mankind takes on a new adventure, searching beyond the safety of mother earth, heading towards another mystery, MARS. Maybe, once we reach Mars, all our questions will be answered. Or, just maybe, my screenplay, BLACK ANGELS already tells the story of our ancient ancestors, only referred to as ‘THE GODS OF THE HEAVENS’. It’s now up to Hollywood to bring us closer to the truth by releasing my screenplay BLACK ANGELS.